Beating the Zephyrs by two points, the Cougars extended their winning streak to 13 games. When games are tied going into a final possession, well-drawn up plays can make the difference in the outcome. When those don’t go exactly as planned, it might turn to something more. Jordan Merseth found himself in the right place at exactly the right time, having the presence of mind to tip in an offensive rebound right before the buzzer to give Mankato East (14-1, 11-0) a thrilling 66-64 victory over Mahtomedi (12-5, 7-1) on Saturday. The stat sheet will show a missed shot for Madson, but Merseth said he should get credited with an assist. The Cougars out-rebounded the Zeprhys 36-31; not a significant margin, but in a two-point game every extra possession became vital. Both coaches emphasized how big of a factor rebounding was in this game. The Zephyrs played in a zone for the majority of the game, which made it harder to to box out — possibly one contributor to the lack of rebounding. The zone defense also helped Mankato East’s two best scoring threats produce on offense: Jax Madson scored a game-high 24 points because he was able to move around without the ball and get open shots due to some good off-ball screens. Merseth finished the game with 16 points and eight rebounds, while manning the baseline and the middle of the zone. The Cougars’ defensive effort against J’Vonne Hadley was another key to the win. 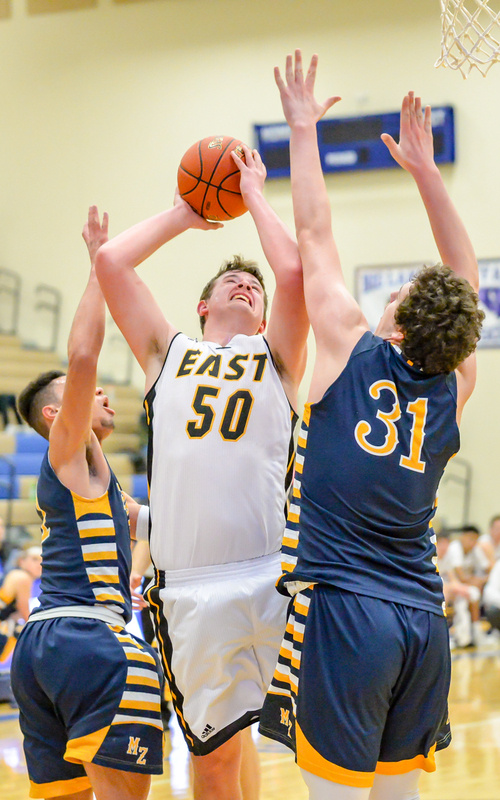 Although Makato East didn’t completely shut him down, the Cougars kept Hadley, who entered the game as the state’s second-leading scorer with 29.7 points per game, to 21 points, eight rebounds and four assists — his third-lowest scoring effort of the season. “We switched him with a couple guys that we think are good. We got guys that can move their feet and good athletes – maybe not to his size and his caliber – but certainly guys that can keep in front of him and I think we did a great job of that,” Joe Madson said. Saturday’s loss is the Zephyrs’ second in a row after Tartan snapped their eight-game winning streak Thursday. 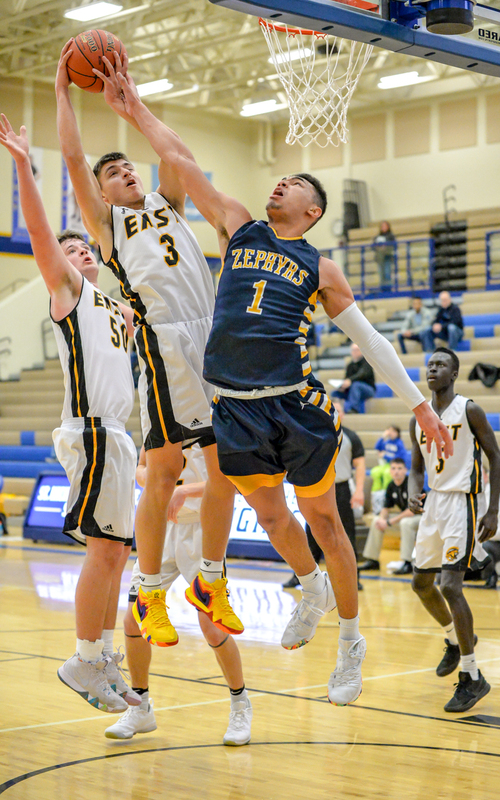 Because subzero temperatures closed schools this past week, the Zephyrs were out of the gym before playing Tartan and Mankato East over a three day-span. Newman said he wants his team to regroup after the back-to-back losses and learn from its mistakes. “I think our guys were competitive in both games and probably frustrated with the losses, but we always preach to them that it’s a learning experience and hopefully we can learn from the things that went wrong,” he said. A buzzer-beating tip-in by Jordan Merseth helped lift Mankato East, ranked No. 5 in Class 3A by Minnesota Basketball News, over No. 6-3A Mahtomedi 66-64 in a Breakdown Community Clash matchup at St. Michael-Albertville High School on Saturday. The play was drawn up for East’s Joich Gong, who drove to the basket and got blocked by J’Vonne Hadley. The Cougars’ Jax Madson came down with the loose ball and put up a turnaround jumper that clanked off the front rim. Merseth was in the right place at the right time and tipped in the game-winning shot just before the buzzer sounded. It was relatively close throughout, with the lead never reaching double digits for either side. At the end of the first half, Mahtomedi led 31-26. Merseth was a consistent threat for the Cougars (14-1, 11-0) against Mahtomedi’s 2-3 zone, running the baseline and getting easy buckets in the paint. He finished with 16 points and eight rebounds. Madson led all scorers with 24 points, most of which came from behind the arc. 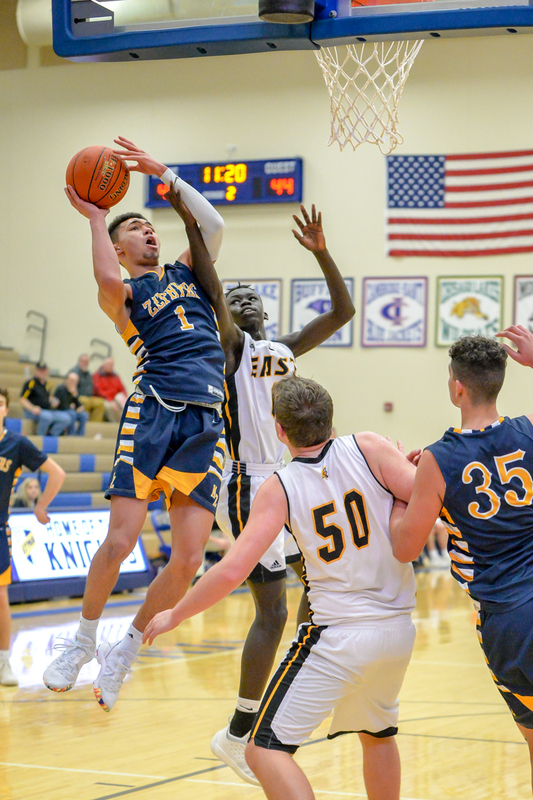 The Zephyrs (12-5, 7-1) were led by Hadley, who put together a complete stat line of 21 points, eight rebounds, four assists, two steals and a pair of blocks. Zac Centers added 20 points. 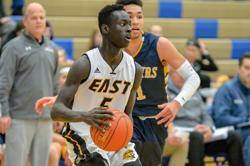 With the victory, East extended its winning streak to 13 games.